Agriculture is essential to achieving the Sustainable Development Goals (SDGs) set out by the United Nations because of the important nutritional, economic, social, and cultural benefits it provides to people. However, agriculture also has substantial negative impacts on land, biodiversity, water, and climate. In Europe, agriculture accounts for more than 10% of total anthropogenic greenhouse gas (GHG) emissions, as well as over 10% of GDP and employment for over 25 million people. In this four-year project funded by the Swedish Research Council Vetenskapsrådet, we characterize and evaluate agricultural systems and their social and environmental trade-offs, with the ultimate aim to identify policy options and leverage points to manage land for food, fuel, and fibre production more sustainably in Europe. 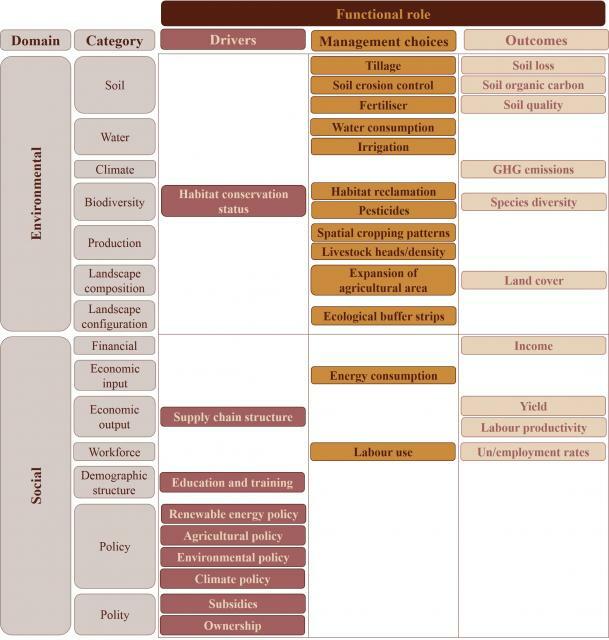 We have identified a subset of 32 variables recognized as key to sustainable agricultural land systems in current European research, policy, and practice. These focus on social drivers like climate, agricultural and environmental policy; environmental farm management choices such as tillage, irrigation, and cropping patterns; and both social and environmental outcomes, including soil management, greenhouse gas emissions, and yields. We suggest these variables represent a shared consensus on elements important to achieving the Sustainable Development Goals in practice, though they may also identify gaps where agriculture is falling short of its potential to do so. We've published an open access geospatial database containing 127 variables relevant for agriculture and the Sustainable Development Goals in Europe, including greenhouse gas emissions from agriculture, crop yields, areas of habitat conservation, rural risk of poverty, water abstraction in agriculture, and many others. The variables can be visualised on ArcGIS online for around 300 regions throughout the EU and nearby states (e.g., Norway, Turkey). ​We have identified a core set of 154 variables examined in current land systems research, which we have arranged in a hierarchical classification that can be used to guide research design to include important variables from both social and environmental domains (currently only 60% of research papers studied did so, with an average of four times greater focus on environmental variables). 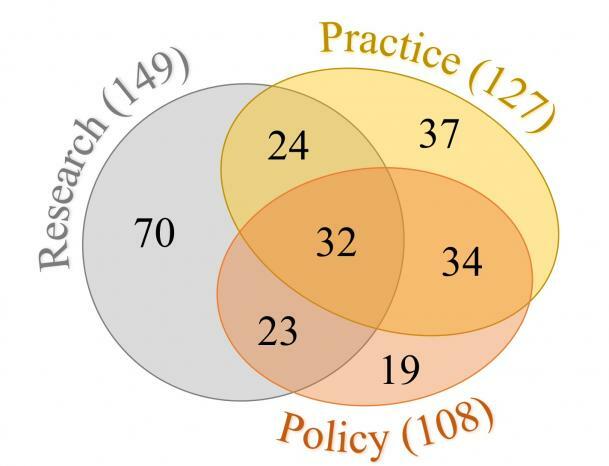 We have also examined European policies and science-policy frameworks, finding that they focus more on social variables currently under-represented in research. We identify existing data sources that could be used to encourage more balanced social-ecological research design and is better aligned with broader policy goals. (Open Access publication: Winkler, Scown, and Nicholas, 2018, Land Use Policy).